Located on the Moses Lake waterfront this is a boaters dream. This lake is the largest natural body of fresh water in Grant County and has over 120 miles of shoreline covering 6,500 acres. 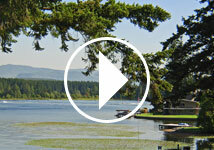 With a boat launch located on the resort; it makes it easy to bring your boat and camp at the same time. 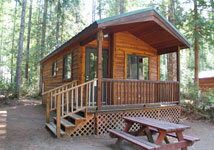 With 3 cottages, 5 camper trailers, and a larger 3 bedroom park model to rent who needs an RV?